So you want to install a new vinyl fence on your property, but you already have an old wooden fence. What do you do? Well, you could pay someone to come in and take the fence down, but why bother when you can just as easily do it yourself? Read these tips on how to tear down an old fence and you’ll be ready for your new vinyl fence in no time. Before getting the crowbar out and prying down fence boards, you’ll need to make sure your fence is actually yours to tear down at all. Many times fences are built on property lines and partially owned by both property owners. If you tear the fence down without your neighbor’s permission, they can actually sue you. Check with your local city planning office to see if there are records for your property on file, or have a surveyor come and mark where the property line is in relation to the fence. Of course you can always just get your neighbor’s permission, too – but make sure you get it in writing. 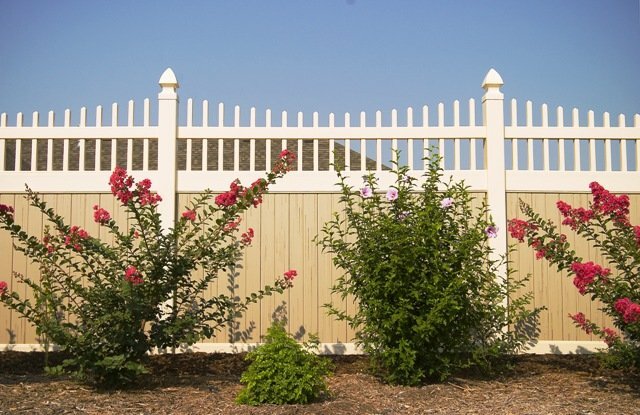 Buried gas lines, electric cables, and other utilities can make removing and installing a fence more difficult. Before you start your project you should have someone mark the location of your utility lines on your property, especially if your fence is close to an electrical panel or utility monitor. In the Dallas area you can simply call “811” at least 48 hours before digging to get in touch with your local utility company and have them mark your utility lines for free. If you accidentally damage a gas line or electrical cable, you aren’t just facing inconvenience – the company could fine you for a service disruption. When you’re removing the boards or panels from your fence, patience is key. Going too fast could result in splintering or otherwise breaking the boards, which in turn means more work and more cleanup for you. You also want to avoid hurting yourself on any old or rusted nails sticking out from boards and fence posts. It’s much easier to stay safe and pay attention when you aren’t in a hurry, so try to take your time when taking down a fence. One of the toughest things about removing an old fence is getting the concrete footings of the fence posts out of the ground. However, there is an easier way to do it than digging them out by hand. Take a sledgehammer (or a stone splitter if you can find one – it looks like a heavy pickaxe) and break up the concrete footer as much as possible before trying to remove it. Breaking the footer into pieces will make it easier to pull out of the ground and will also require you to do less digging in the dirt around the footer, keeping your lawn in better shape. It might also help to cut down your fence posts with a chainsaw first, so you don’t have to worry about hitting the post while you break the concrete. Once you’re done with the job, you might feel stuck with a bunch of old wood clogging up your yard. Luckily there are a few options for getting rid of it. You can call your local dump or garbage collection agency and see if they’ll do a special pickup – but you might have to pay for it. You can also put an ad up on Craigslist or other social sites advertising the free fence wood. Much of the time you’ll find someone to take you up on the offer. Finally, you can recycle the wood as much as possible to use in other projects. After you’ve disposed of your old fence, your new vinyl fence from Future Outdoors is only a few small steps away. Call us today at (972) 576-1600 to get a free vinyl fence estimate based on the look and options you desire, or visit the Future Outdoors website to view our entire vinyl fence product inventory. Future Outdoors is the number one vinyl fencing company in the Dallas-Fort Worth area, and we would love to bring our expertise to you.